How to make your house smell amazing, right now. 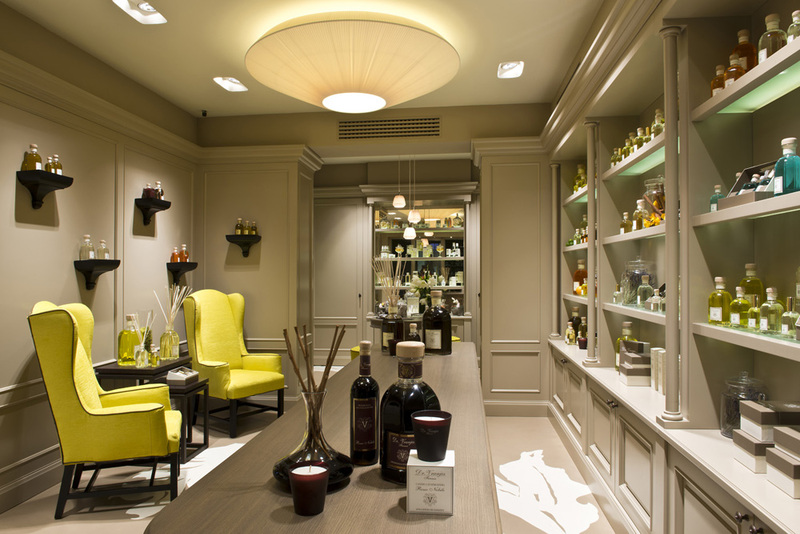 My absolute favorite interior shop near our house in Italy introduced me to the room diffusers by Dr. Vranjes. Whenever we were there to pick yet another piece of furniture, I kept sniffing them. I don't know why I never bought one; it's strange how you can trick yourself that you need to buy a couch, because you have to sit, don't you, but somehow buying a gorgeous diffuser, is a splurge. But then my sister-in-law came by, and when she left, she gave me one of the diffusers as a present. She broke the spell, because now I have more than one, going at all times. Like Santa Maria Novella Dr. Vranjes is a perfume brand from Florence, named after his creator dr Paolo Vranjes and like Santa Maria Novella it has that typical Italian touch in perfumes, they are never too heavy, not too fruity or modern, they smell classic, chic and sophisticated. And Intoxicating. I am quite sensitive to perfume, and these won't give me a headache. I use the melograno one myself, pomegranate. You can get it here and here. I mix my Dr. Vrejus with candles by BoySmell. These are amazing. Made in Los Angeles by real-life partners Matthew Herman and David Kien wanted products that combine the feminine and masculine without defining it by gender. 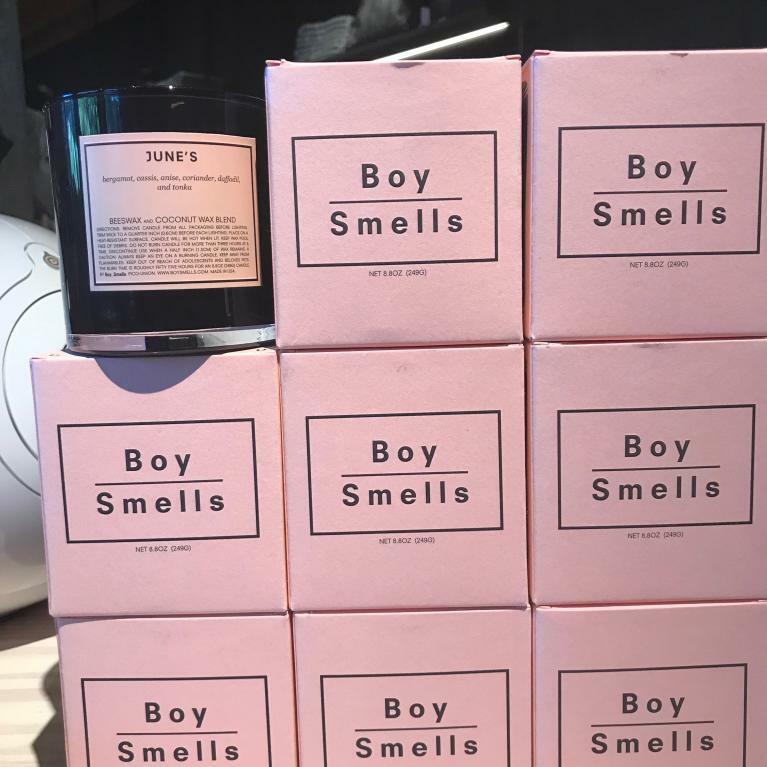 They are made with coconut and beeswax mixed with natural oils, and I am so in love with their June's candle: "bergamot, cassis, anise, coriander, daffodil, and tonk a. Inspired by the vibrant June's All Day cafe and wine bar of Austin, Texas, the candle recalls memories of late nights spent at cafes in Le Marais district of Paris and eclectic evenings in Austin's famous South Congress Avenue. It is the embodiment of ease and sophistication." Like June's I love blending the classic with the modern, old-school Italy with fresh Los Angeles. you can get it here. Check Boy Smells other fragrances; Kush is also a cheeky present! Their Insta is really good and they have a giveaway going on now where they have paired up with other cool interior brands, you can enter here.